A number of Panera employees in Washington D.C. and Alabama recently filed a class action lawsuit against the restaurant, claiming that they were not paid overtime wages. 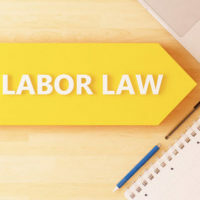 All of the employees worked as assistant managers and according to the complaint, were unlawfully classified as exempt workers and so were denied the overtime pay and other protections owed to them under the Fair Labor Standards Act (FLSA). Unfortunately, it is not uncommon for employers to fail to pay their employees even though they are required to do so under both state and federal law, so if you are entitled to overtime, but have not received it, it is crucial to speak with an experienced overtime violation attorney who can help you collect compensation for your losses. Under the terms of the FLSA, employees must be paid one and one half times their regular wage when they exceed 40 hours per week. There are, however, two major exceptions to this rule. The first excludes specific employees from coverage, including those who work at movie theaters or as agricultural workers, while the second excludes jobs that are covered by another federal labor law, such as the Railway Labor Act. Aside from these exceptions, employees must be paid additional wages for working overtime. However, even employees whose jobs are covered by the FLSA, may not be eligible for overtime compensation if they are considered exempt. The kind of work that he or she performs. He or she has the authority to hire or fire other employees. Panera has denied any wrongdoing and argues that the employees did not qualify for overtime pay because as assistant managers, they fall under the Executive Exemption. The plaintiffs, however, argue that the exception does not apply as they primarily perform non-managerial work related to customer service, cashiering, food preparation, and cleaning. According to the complaint, Panera has repeatedly violated overtime laws, failed to keep adequate records of hours worked, and routinely misclassified its employees in order to avoid paying overtime wages. If their claim is successful, the wronged employees stand to gain back wages, liquidated damages, interest, and attorneys’ fees. Please call 813-909-8855 to speak with one of the dedicated Tampa overtime violation attorneys at Saady & Saxe, P.A. Attorneys At Law today. We are eager to assist you with your case.